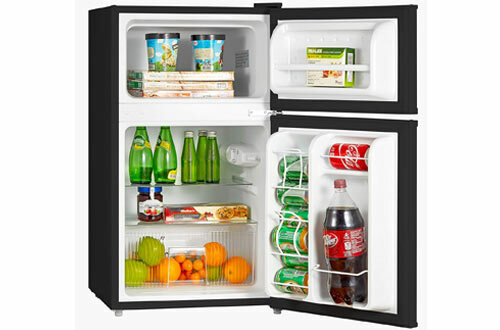 Most of the perishable items will get a long-lasting lifetime when put in the compact refrigerators with freezer. This means that a refrigerator is a basic need in your home. Deferent models arrive with exciting features for you to make the best selection. Some of the notable features include the size of the interior space, ease of packing and unpacking, the ease of moving the refrigerator and the compartments available. 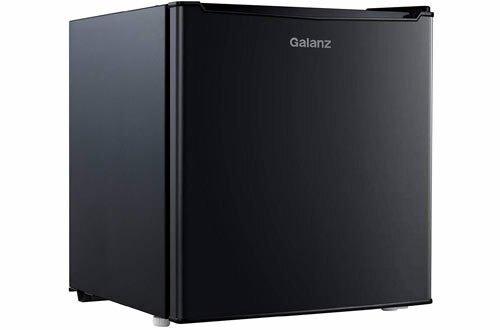 We know how hard it is to get the correct model for your use and hence we have selected for you the 10 Best Compact Refrigerators with the best features that will meet your requirements. Have a look at them and commit to having one for cooling your items. The Midea WHD-113FB1 comes with two compartments, i.e. 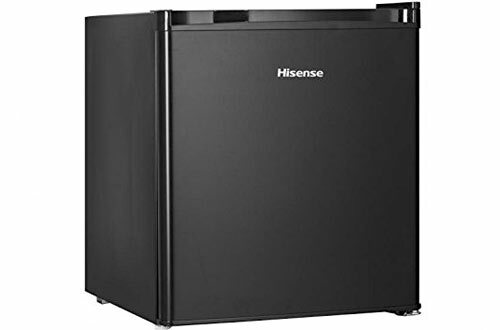 the refrigerator compartment measuring 32′ to 50′ F, and the freezer section is -11.2′ to 5’F.the adjustable legs, and reversible door makes it easy for the refrigerator to move and open. The interior light allows you to operate the fridge even at night. There are a separate fruit and vegetable drawers hence a great deal for your money. 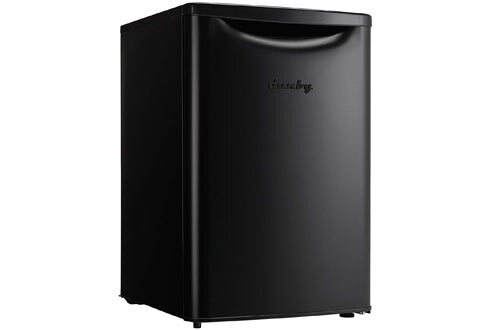 When you buy this black unit, you get an assurance of a full 1-year warranty. Has a separate fruit and vegetable section. Second on our list is the Kenmore 99053. It comes with a 4.5 cubic ft where you will store plenty of items. It also has an inbuilt freezer that allows you to cool things fast.in this model, you will store wine bottles and also glasses making it easy for you to cool that juice stress-free. The unique thing about this model is the quiet feature and hence a great deal in the bedroom or sitting room. 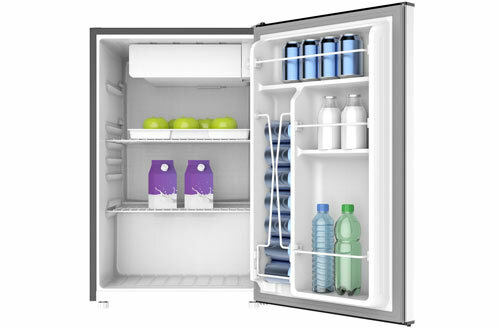 If you want a spacious unit for cooling your drinks and storing other items, then the Danby DAR026A2BDB is a deal. 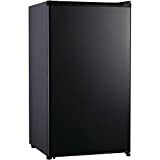 This features a 2.6 cu ft. which is enough for your household storage.it has been crafted from high-quality materials hence durable and scratch resistance. You will also like the integrated shelving that allows even the large bottles to stand easily. 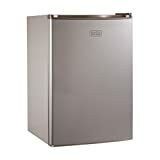 Features a 2.6 cu ft. The model with a reversible flash door is here to make your work easy. It’s a 3.2 Cu. Ft. capacity hence spacious enough for your storage. This type comes with an adjustable temperature thermostat hence saves electricity. The model also comes with well-arranged shelves for easy storage. The black model sits awesomely in your hose and adds décor to the entire house. This white RCA-Igloo not only cools but also freezes your items fast. The type is a 3.2 cu ft. hence ideal for spacious storage. 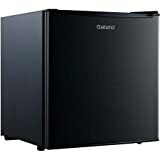 It has a two-door configuration for both the freezer and the fridge section. The adjustable thermostat plays a great role in any type of weather for your items. 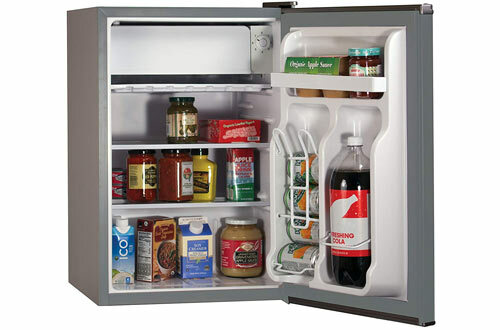 This refrigerator has a built-in can section, bottle area and a drawer for vegetables and glasses. If you want the space saving model, then the BLACK+DECKER BCRK25V is ideal for you. Its compact hence remains at the same place and safe when your items are stored.it has an adjustable thermostat to save power. At the same time, the type comes with levelling legs to keep it stable. Two sets of glass shelves allow you to store more items. Also, this model is an energy efficient type and will see you pay reduced prices. 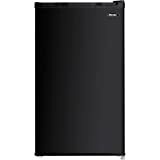 The Hisense RS17B5 is a high-quality refrigerator designed to give your items the correct cooling for long-term use. It’s black and hence looks amazing in your house. 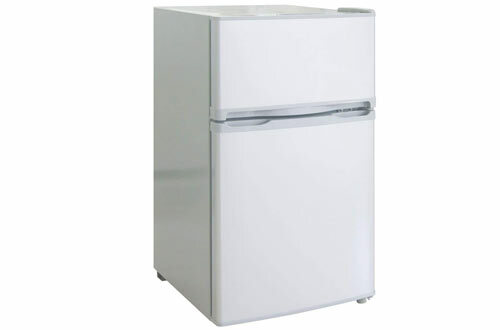 This small unit is 0.2 cu ft. Chiller 1.5 cu ft. capacity and hence ideal for small spaces. It comes with a wired shelf where you organize your items easily. The reversible door will give you a lot of options when it comes to installation. 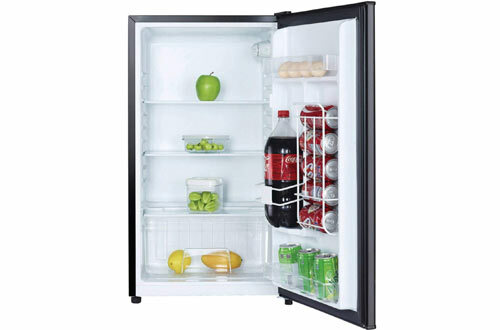 The Danby DCR032C1BDB is another reliable model with a 3.2 cu ft. ideal for items storage. This model comes from high-quality materials hence will last. The type is also an energy saving and environmentally friendly model. It also has a freezer section where you cool other things fast. Finally, the tall bottles are taken care of as he integrated door shelving allows for the storage. The capacity of 3.2 cu ft. The Galanz 1.7 Cu. Ft. stands anywhere in your house. It’s ideal for small spaces hence a great deal for your money. This unit 1.7 cu ft. allows you to store more for your hose use. The door is easy to open and creates space for operation. Additionally, the adjustable thermostat controls the cooling and hence saves energy. The dimensions are 17.48″W x 19.09″D x 19.49″H. Our last product is the Magic Chef MCBR240S1. It’s an amazing type with a steel make hence durable. You will like how the unit consumes less power courtesy of the thermostat. 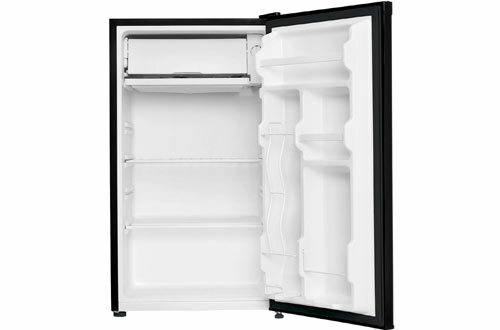 The 2.4 cu ft. capacity means that your items will find enough space for cooling. The freezer compartment also gets you the best way to accelerate the cooling effect and hence getting you quick results. 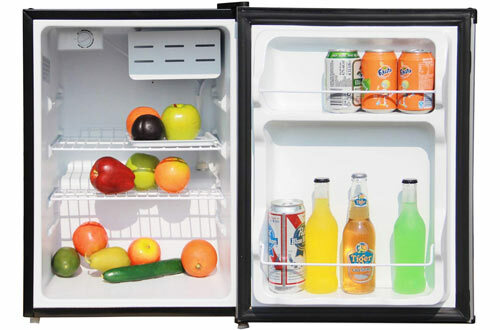 The way to get the proper cooling and freeing of your items is through the choice of a right refridegrat6or. We understand that it’s difficult to select the best and due to the crowded market, you can easily get mislead. Choose one from the above carefully selected and reviewed ten models and buy is today and the outcome will be amazing.